William Morrow, 2014. 341 pages. Fiction. This is the story of two women who come as outsiders to a small Maine town and join forces at the local paper to uncover a scandal that could prove damaging to those they hold most dear. Leah, a newly-married New York reporter, is happy to follow her new husband Henry out of the city and into his idealized fishing village of his childhood. Quinn has come to Menamon looking for the father who abandoned her as a child and takes a job at the paper to make ends meet while she gets the courage to confront him. But will they be forced to choose between the paper and the ones their article could hurt the most? This book has everything you could ever want in a story: a great plot, a scenic location, interesting characters. Reading the back of the book, I was captivated. And then I opened the first page and it all fell flat. I never liked the characters. At all. Leah was at least an endearingly flighty woman, although even that started to grate pretty quickly, but Quinn was just constantly abrasive. And that, for me, is what killed the story. 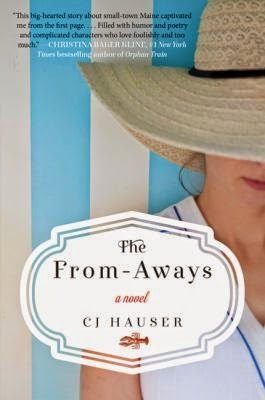 If you like plot more than characters, this may be the book for you, because Hauser has plot going for her in a big way. If you read more for characters (which I do) you may want to find something else to read.